Click Here to view our board meeting agendas and minutes. Click Here to view the 2018-2019 District Budget. Northern Cochise Community Hospital is based on many respective values. The District Board of Directors ensure that these values remain as a guide for all aspects of healthcare offered at the hospital and clinics. Below is the district governing body of Northern Cochise Community Hospital and information about each of them. Dr. Scott is a member of the Chamber of Commerce and other community service groups. He has sponsored health fairs in Sunsites and participates in Northern Cochise Community Hospital's Wellness Fairs. He currently runs his Chiropractic practice in Sunsites. Mrs. Shotton established Shotton Insurance Agency in 1983 and purchased Jensen Insurance Agency several years ago. She continues to be very active in the operation of the agency. Mrs. Dunagan is an entrepreneur; as a cosmetologist she owned and operated Carol's Hair Fashion for 23 years and in 1989 opened Desert Impressions Gifts & Flowers which she ran until she sold it. Mr. Thomas is the author of several Substance Abuse Treatment Program standards in the state of Vermont. 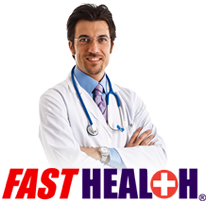 He has extensive experience in the treatment of substance abuse disorders. He was instrumental in obtaining a medicaid waiver, ensuring substance abuse treatment coverage for individuals who would otherwise be ineligible for treatment. He was nominated for the National Association of Alcoholism and Drug Abuse Counselors Senator Harold Hughes Advocate of the year award, and has been a Council on the Accreditation of Rehabilitation Facilities (CARF) Surveyor since 1996, conducting both administrative and program surveys. married with two school-age boys. David has worked in multiple industry fields, including steel work, farming, construction and truck driving, usually in supervisory or management roles. He is now the Facility Manager for Crop Production Services. "Unfortunately my wife and I have had a lot of experience with hospitals and specialists in the past with our youngest son and have seen a lot of good and bad things in the industry, which I believe would be useful" as a board director, he said in his letter to the District Board. 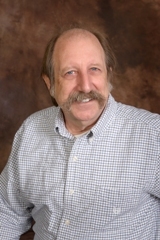 Mr. Knox is the current CEO for Northern Cochise Community Hospital, Inc. Prior to that time, he worked as Chief Operating Officer for six years and Chief Financial Officer for one year at Mt. Graham Regional Medical Center in Safford. 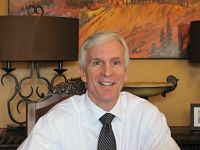 He received his Bachelor of Science in Business Administration from Mankato State University, and brings significant financial experience from his work in the banking industry. Click Here to view our board meeting agenda and minutes.